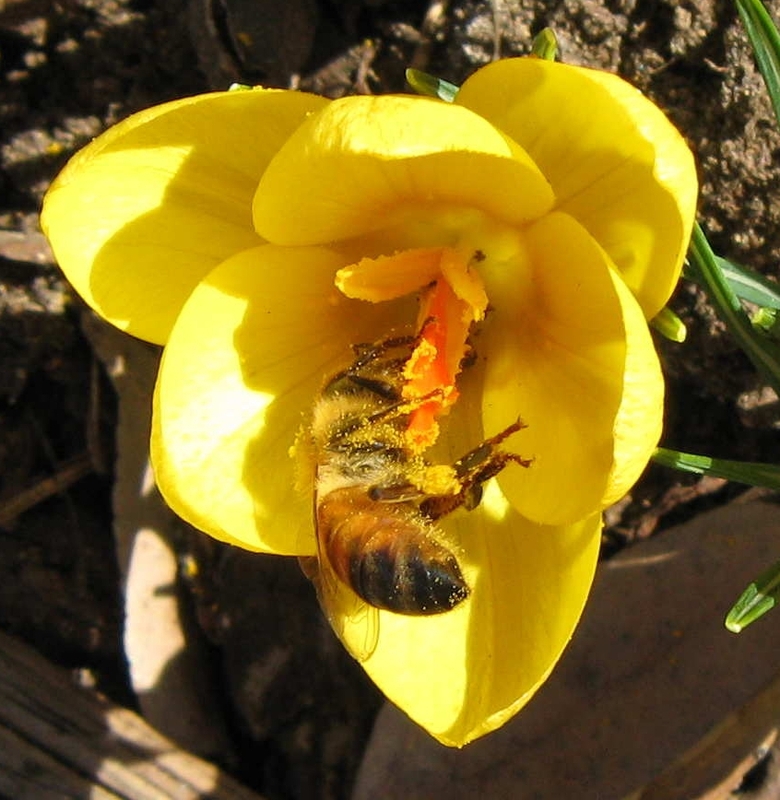 Spring Bee with Crocus – keaPOD 143 | KeaNeato! The crocus flowers are in full bloom now and the bees are having at it. I hope this is a great season for bees. Photo by keagiles. Click on the image for a closer view. This entry was posted in beautiful, Nature, POD (picture of the day) and tagged bee, crocus, flower, nature, photography, plants, spring. Bookmark the permalink.